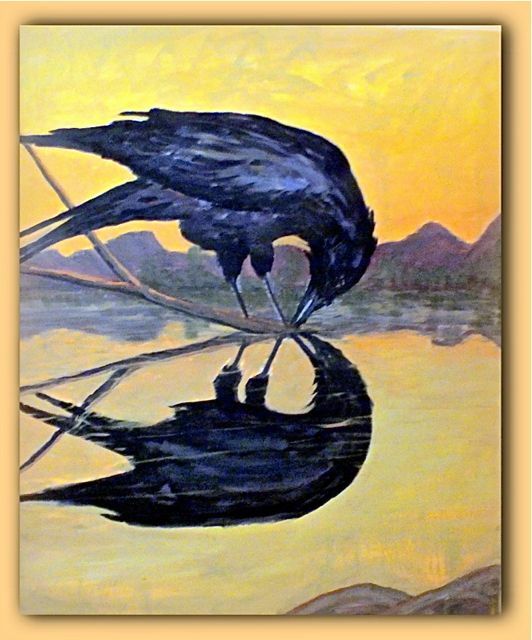 The International Sonoran Desert Alliance (ISDA)issues the first bi-annual call for artists to submit artwork to a curated exhibition in the Ajo Plaza Gallery. The title of the exhibition is Redrawing Borders. This exhibition is part of the Tri-National Symposium — Celebrating the Sonoran Desert. The exhibit Redrawing Borders seeks to promote a dialogue and collaboration between governmental agencies, NGOs, Native American and human rights organizations at the national and international level to help create greater understanding and support for humanitarian and ecological solutions to the U.S./Mexico borderlands crisis. Human and environmental impacts of the current border situation, including immigration, labor policies, human rights violations, and enforcement procedures. Humanitarian and environmental responses to the border crisis. Collaborative, cross-border, multi-national, cross-agency efforts to address human and environmental impacts. International humanitarian crisis and other border issues. Send three images of your artwork, bio, statement, works list via email by February 17, 2014 at 11:49 pm. Notification of artists selected and mailing instructions will be sent via email by February 21, 2014. Opening Reception is Tuesday, March 18, 2014 Time 5:30-7:30 pm. 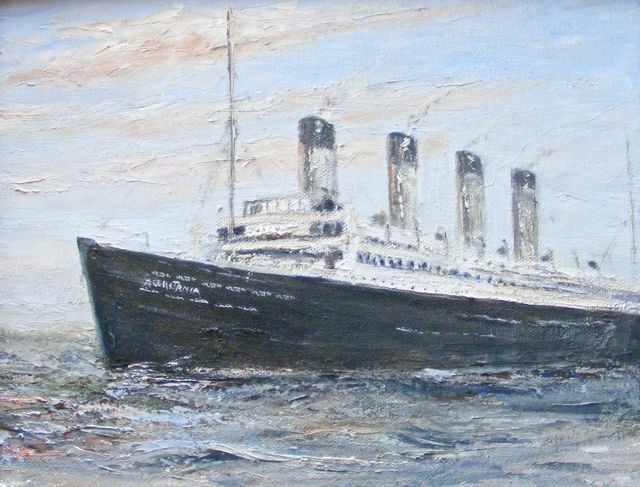 Exhibition will close April 18, 2014. To learn more about submitting work and the curator for this event, click here for the full Call for Artists document. Hey, photographers! Here is your heads-up alert for the 2014 Sonoran Shindig photo show to be held on March 22nd in the Ajo Plaza. Get out your camera, head out into the desert and bring back that blue ribbon shot. Or look through your archives of past years’ pictures for your winning entry. Here are the six photo show categories. Click on the links to see last year’s winners. Any photo entered must have been taken in the Sonoran Desert. Previously entered photos are ineligible. Photos can be in color, or black and white. They must be unframed, mounted on mat board. Printed frames are not acceptable. We want to showcase the desert, not computer programs. That being said, even Ansel Adams used a few tricks in the dark room. So computer enhanced photos will be accepted. Photos may not have text, dates or other data on them. Acceptable photo format sizes are as follows — 8×10, 16×20 and 10×20 panorama. Entry forms, complete rules and entry deadline will be announced soon. Consider this your first alert for another fantastic photo show celebrating our Sonoran Desert. 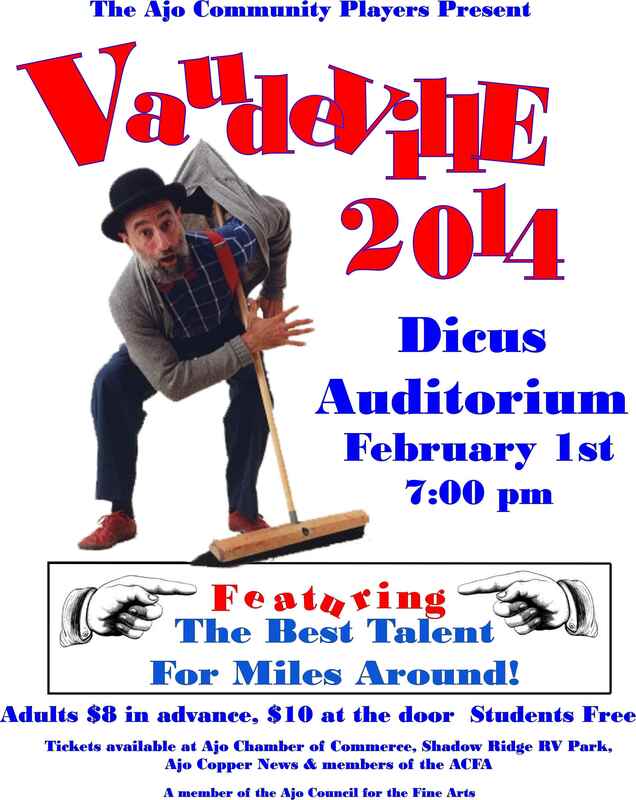 Get ready for an evening of laughter, groans and giggles — joins us this Saturday at the Dicus Auditorium for Vaudeville 2014! It’s time to sharpen your pencils again — this week’s sketch class is happening Wednesday afternoon from 3 to 5 in Room 3 in the Curley School Courtyard. This drawing was done last week by SeonaChere. Just a few more days and the curtain will go up on a great evening of three 1-act plays — performed by the talented members of the Ajo Community Players. Want to know what plays are being performed? Check here. You’ll find dates, times and ticket prices here.